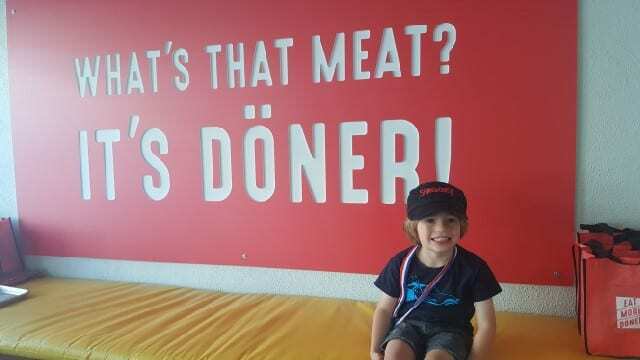 Do you know what döner is? You know what gyros and shawarma are, right? Well, döner kebab is from Turkey and is the ancestor of these two dishes. The seasoned meat is cooked on a vertical rotisserie on inverted cones that are slowly turning and roasting the meat in its own juices. 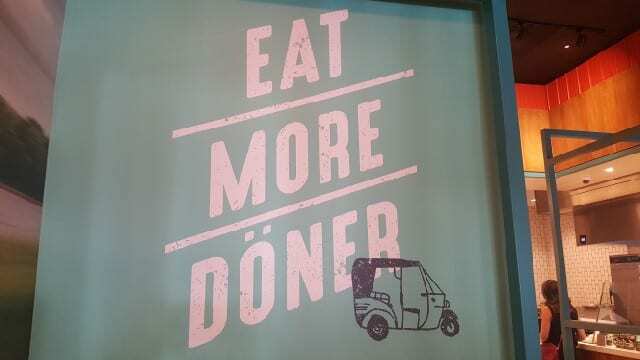 And where can you find döner in Los Angeles? At Spireworks. 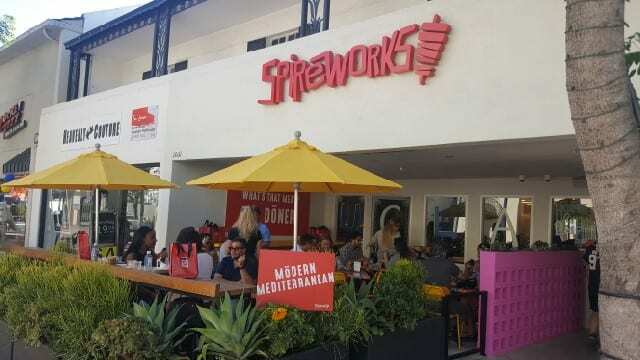 Spireworks is a fast casual restaurant concept with two locations in Los Angeles – in Westwood and in Eagle Rock. 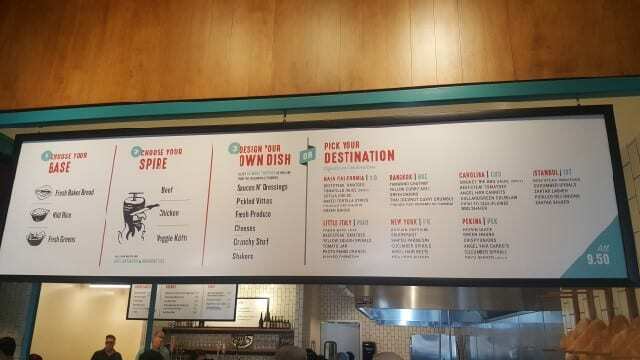 A fast casual concept, you start with selecting the base you want (fresh baked bread, wild rice or fresh greens) and then the spire you want (beef, chicken or a combo of both). There is also a veggie kofti (like a meatball) available. The final step is to design your own dish by picking the sauces and dressings, pickles, fresh vegetables, cheeses, “crunchy stuff” and “shakers” you want on top. Or you can pick a “Destination”. With a “Destination” the flavor toppings represent Istanbul, Baja Californa, Little Italy, Bangkok, New York, Carolina or Peking. 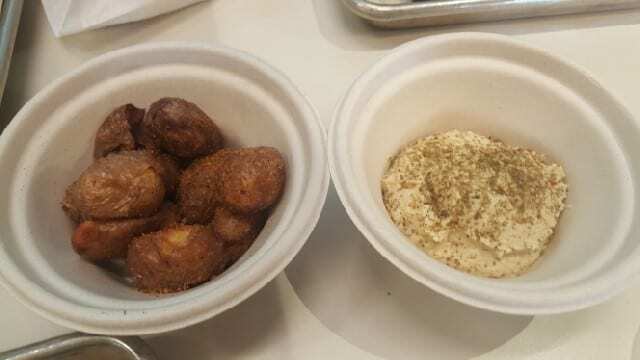 Sides dishes such as baby Dutch yellow potatoes and hummus with fresh baked bread are available. 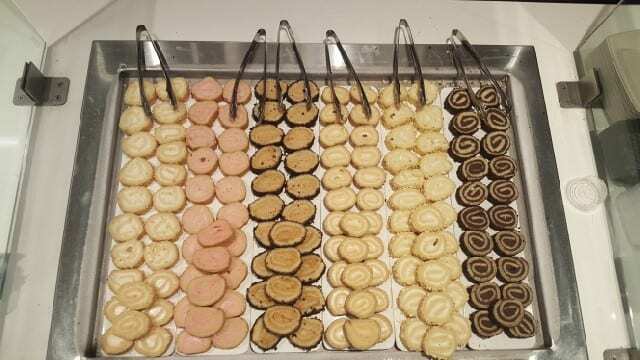 For dessert, try the Spirecakes, mini cakes that come in a variety of flavors – banana cream pie, chocolate ganache, dulce de leche, honey mascarpone, strawberry shortcake, tiramisu. 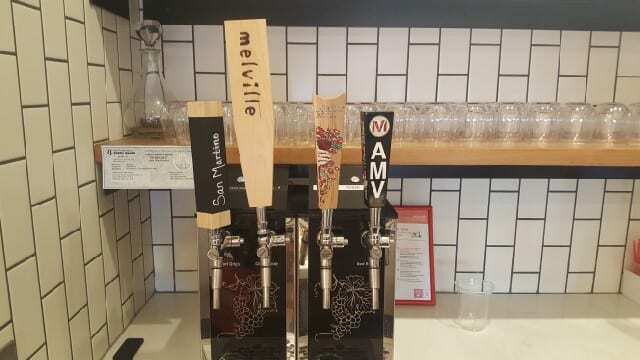 For the adults, Spireworks offers four wines from Santa Barbara on tap. 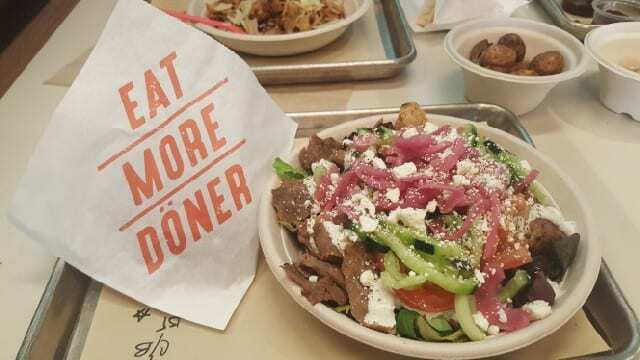 Spireworks has created the “modern döner”, enabling diners to explore unique flavors and toppings from around the world and creating a cultural melting pot of flavors. My 4-year-old nephew, who I brought with me, absolutely loved it and gave it two thumbs up. 4945 B Eagle Rock Blvd. 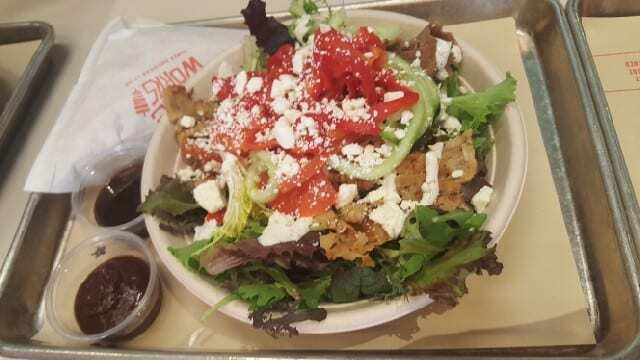 This entry was posted in Food, Wine and tagged doner, doner kebab, Eagle Rock, family friendly, Fast Casual, Middle Eastern Cuisine, modern doner, Santa Barbara wine, Spireworks, turkish food, Westwood by Allison Levine.